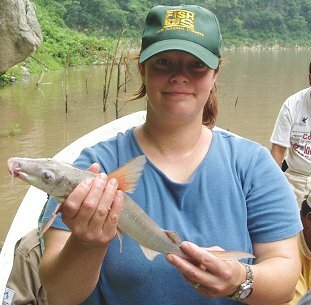 With an increased membership and an improved fiscal picture DVFF made a very big move in 2007 by establishing an annual scholarship fund for research in Fisheries Biology and/or Riparian or Limnetic Ecology. The scholarship will go to a selected student of the UC Davis College of Agriculture and Environmental Sciences, Center of Aquatic Biology and Aquaculture (CABA). When DVFF was formed in September of 1968, Bob became the club's first President and member serving through 1972. In the following years he served as Treasurer, Director and Windknots Editor. Under his leadership DVFF instituted fly tying and rod building classes, casting instruction, informative monthly programs and the Windknots. Bob continued to be a great contributor, and was always of the club's premier fly-casting instructors. UC Davis was chosen after the Board of Directors made a concerted search and evaluation of potential universities in northern California. It became very clear after our Jan 30, 2008 visit by Board members to UCD that we truly had picked a world-class research organization. DVFF's scholarship program is currently being administered by Professor Raul H. Piedrahita, Ph.D. - Director, Center for Aquatic Biology and Aquaculture. UCD has a number of professors who lead the field in fisheries research, including Professor Peter Moyle, Ph.D. - Associate Director, Watershed Sciences. Dr. Moyle is the current "go to" fisheries technical expert on the Delta. The application process starts at the beginning of each year with an award announcement about the March timeframe. The student uses the funds to directly support the research work they are doing to obtain a graduate degree (either masters or PHD). Students should contact the UC Davis Center of Aquatic Biology and Aquaculture to apply. Sean has had a life-long fascination with aquatic ecosystems and has spent his career in a number of different academic and professional roles, striving to advance the fields of aquatic ecology and fisheries science. Sean earned his B.S. from the University of Washington in 2011, majoring in Aquatic and Fishery Sciences with a minor in Marine Biology. As an undergraduate, he served as a teaching assistant for the University of Washington’s scientific diving course and completed a capstone research project on invasive tunicates in Puget Sound which eventually led to a peer-reviewed publication. 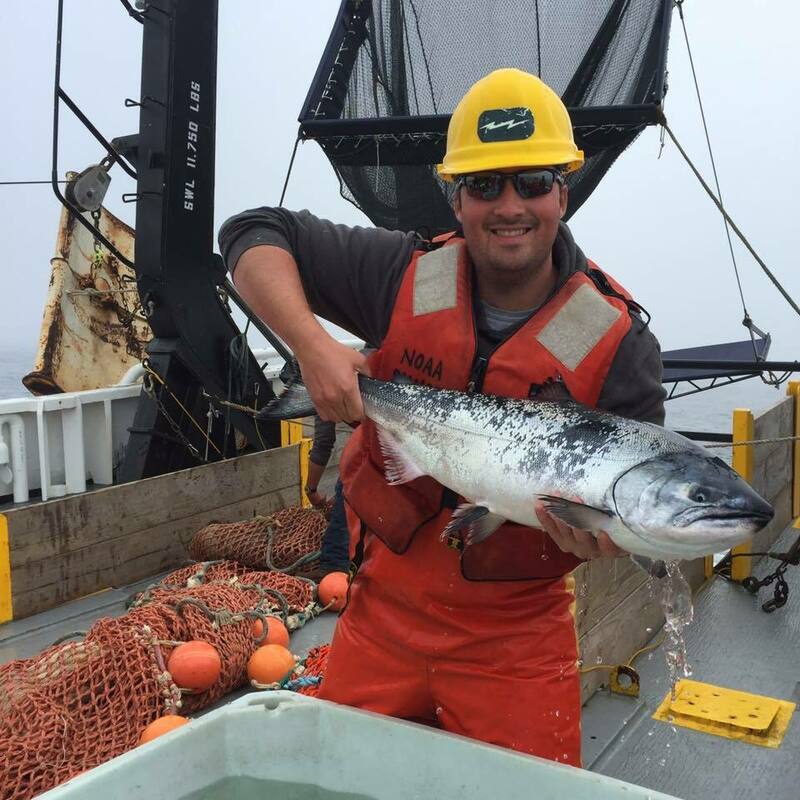 After graduation, he worked for a year as a paid intern for the USGS Marrowstone Marine Field Station in north Puget Sound, assisting on a variety of laboratory studies on marine fish pathogens. In the summer of 2012, Sean was selected as a primary candidate for basic training in the National Oceanic and Atmospheric Administration Commissioned Officer Corps (NOAA Corps). He trained for four months at the U.S. Coast Guard Academy before being assigned as a Junior Officer aboard the NOAA Ship Okeanos Explorer. While serving aboard the Okeanos, Sean participated in over a dozen oceanographic research and exploration missions, while earning his Officer of the Deck qualification and filling the roles of Safety Officer and Divemaster. In 2015, he moved on to his second active duty assignment with NOAA, working as a regulatory fisheries biologist with the National Marine Fisheries Service California Central Valley Office in Sacramento. Sean was a biological consultation lead on a number of regulatory projects under the federal Endangered Species Act. His involvement with the Lower American River Anadromous Fish Habitat Restoration Program inspired him to pursue his graduate degree with a focus on stream geomorphology and river hydraulics. In August of 2017, Sean separated from active service and began his current journey in the Graduate Group in Ecology at UC Davis. Sean’s current research involves the investigation of physical drivers of straying behavior in adult Chinook salmon using techniques in two-dimensional hydrodynamic modeling and Ecohydraulic analysis. In a nutshell, his research interests center on environmental fluid mechanics and how the physics of moving water can act as a primary driver of ecosystem processes. Peter Moniz was selected to receive a scholarship for 2018 recipient. 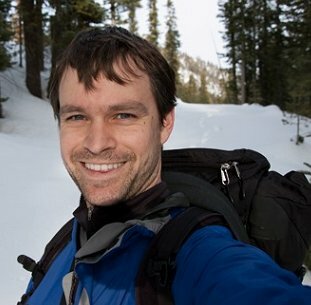 After graduating from Cal with honors, Peter worked part-time in a fresh water ecology lab. He then joined the Department of Fish and Wildlife as a field biologist monitoring delta smelt and white sturgeon populations and later worked at a fish science company working on salmon and trout conservation and restoration. He has studied many of the rivers we fish such as the Yuba, American, Mokelumne, Merced and San Joaquin rivers. Peter’s graduate studies at UC Davis will examine the quantity and quality of available habitat for juvenile Chinook salmon, rainbow trout and steelhead in the lower Yuba River. He will use hydraulic modeling to predict and evaluate water systems. Unlike adult salmon and steelhead which only migrate into freshwater for a relatively short period of time while spawning, juveniles of these species can remain in the freshwater for months to a few years depending on the species and habitat conditions. As a result the habitat requirements of these juvenile fish in freshwater systems are less understood and more difficult to model than that of spawning adults. Area of Research: Stress physiology and disease resistance in farmed fishes. Michaiah’s interest in animal science began with a puppy rescued from the street, which influenced her decision when it came to selecting a major. Her undergraduate studies focused on companion and livestock animals but shifted to the study of how sturgeon cope with changes in environmental conditions with the hope of understanding whether they have the capacity to handle with climate change. 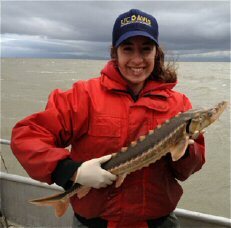 Since starting her PhD during 2015, Michaiah has carried out two research projects, with one looking at the effects of warming on sturgeon stress response, immunity, and metabolism. 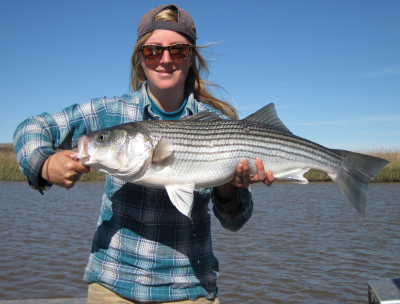 Her latest research will be aimed at understanding the potential impacts of global climate change on the disease resistance of species in commercial and recreational fisheries. Area of Research: The genetic basis of life history variation in Pacific salmon. "I have worked in aquatic ecosystems throughout California, ranging from pristine high mountain lakes and streams in the Sierra Nevada to tidal rivers in the Sacramento-San Joaquin Delta. 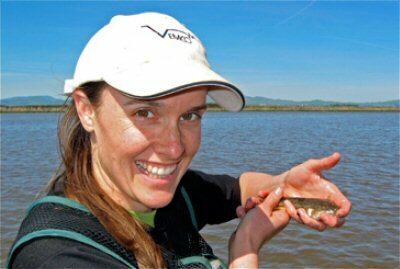 For my dissertation research, I work on the UC Davis Suisun Marsh Fish & Invertebrate Study, a long-term monitoring program that provides the scientific and management communities with data on long-term trends in abundance and distribution of fish populations in Suisun Marsh. From this experience I have learned to identify gaps in knowledge of the ecology of the San Francisco Estuary. For example, it is unclear whether tidal marshes provide important food resources for recreationally and commercially significant species that use the estuary as a nursery grounds. With the help of the DVFF-Bob Wisecarver scholarship, I will be able to carry out my research to answer these types of conservation focused questions. My overarching goals are to complete a cohesive dissertation on the benefits of tidal marsh habitat for fishes and to publish my findings in peer-reviewed journals. I am also very dedicated to spreading awareness about fish conservation in the San Francisco Estuary. I am currently serving as the President of the Davis Chapter of the American Fisheries Society, where I lead educational outreach events and mentor college students majoring in Fish Biology. After completing my degree, I strive to become a leader in tidal marsh restoration design and management to maximize ecosystem services, not only functions for fish and wildlife, but also for water filtration, storm buffering, and sea level rise accommodation. 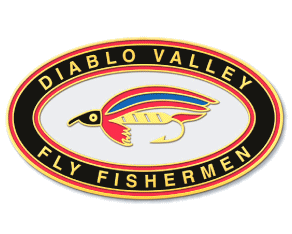 Thank you for your support, Diablo Valley Fly Fishermen, and I look forward to attending a club meeting in the future to present my research and meet all of you!" "Every summer my family would leave behind the busy San Francisco Bay Area and go to our grandmother's quiet cabin in the redwoods along a creek of the Russian River. This experience of swimming with parr and catching crayfish gave me an early love of California aquatic life. It also gave me a desire to learn more about native fishes and how to conserve them. In college, I studied Biology and Conservation and Resource studies and after I graduated, I worked as a marine ecology intern on the gulf coast of Alabama. I enjoyed working on the coast but I wanted to take the skills I learned back to my home state. I am now a fourth year PhD candidate in Ecology at UC Davis. My dissertation research in Dr. Peter Klimley's Biotelemetry Lab examines the seasonal distribution and foraging of green and white sturgeon in the San Francisco Bay, Delta, and Sacramento River. We have implanted acoustic tags in green and white sturgeon in San Pablo and Suisun Bays in collaboration with California Department of Fish and Wildlife. Our lab operates an array of approximately 300 acoustic monitors throughout the watershed which detect each passing tagged individual and tells us about their seasonal movements. Additionally, I am comparing the isotopic signatures of sturgeon to that of their potential benthic invertebrate prey to determine their relative feeding location and their prey trophic level. The ultimate goal of my research is to examine niche partitioning among the two species of sturgeon to determine how they are using the habitat differently. 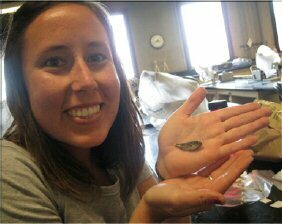 When I am not studying these prehistoric fish, I enjoy participating in elementary school outreach with our student chapter of the American Fisheries Society and working with the Davis chapter of the Society for Conservation Biology on the policy committee. 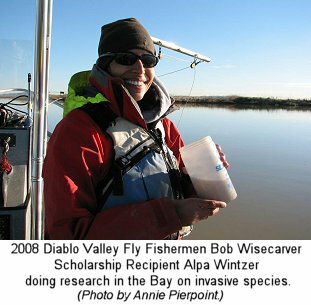 Thank you Diablo Valley Fly Fishermen Club for supporting my research with the Bob Wisecarver Scholarship. I sincerely appreciate the support and hope my work helps Californians manage for the continued persistence of sturgeon." "As one of the lucky people in this world to be from California,I find that my curiosity and fascination for our natural world is unbounded. I am continually amazed by the beauty and complexity of the ocean, which has undoubtedly motivated me to study, conserve, and protect marine life. I would like to sincerely thank the DVFF for the Bob Wisecarver scholarship, which is supporting me in completing my dissertation research. Presently, I am a 4th year Ecology Ph.D. Candidate in the Joint Doctoral Program in Ecology with San Diego State and the University of California, Davis. The broad goal of my research is to build upon our understanding of the processes most influential to larval ecology, settlement, and recruitment of fishes. My dissertation research in Dr. Todd Anderson's lab seeks to identify the biological and oceanographic factors that affect population replenishment in rockfishes (Sebastes spp.). My research explores how processes such as maternal investment, seasonal timing of larval release, and oceanography interact to influence larval condition, settlement, and post-settlement survival. I am particularly interested in how coastal oceanography may facilitate or limit settlement of fishes. The ultimate goal of my research is to identify the conditions conducive to recruitment and population replenishment of rockfishes so that we can better manage this economically and recreationally important species. When I am not in the lab or in the field, I like to spend time participating in scientific outreach events through the Marine Ecology and Biology Student Association. You can often find me sharing my knowledge of marine science with the public at the Coastal and Marine Institute Laboratory, the tidepools in San Diego, or in local schools." "I am currently wrapping up my fourth year as a graduate student in the Ecology program at University of California, Davis and would like to sincerely thank you for the scholarship and your support of my research. My work focuses on the habitat use and behavior of the largemouth bass in the California Delta. As a sport fish, the largemouth provides valuable recreation opportunities and has significant effects on local and regional economies through the hundreds of tournaments held each year. In addition, we expect that the voracious bass is an influential character in its own community, yet we do not know how it interacts with other species and with the Delta environments. My dissertation research uses acoustic telemetry techniques to explore how bass use their habitat, with a focus on the introduced and expanding regions of aquatic vegetation. I’m also considering what environmental parameters (time of day, tidal cycle, etc) impact the fish’s activity levels and forays between vegetated and open-water habitats. The results of my study will be combined with work by my colleagues on the diet, distribution, and population structure to create a conceptual model of the interactions of largemouth bass in the Delta. Ultimately, our goal is to help managers predict how the bass will respond to various management strategies, such as altered flow patterns, restored wetlands, and the removal of invasive vegetation. The Delta of the future may look quite different than it does now, so a clearer understanding of behavior and habitat use will be important for successful and long-term management of the largemouth bass. When I’m not bass fishing in the Delta I can be found hiking in the Sierras, enjoying the beautiful upper Sacramento River, or gardening with my puppy my by side. Again, thank you so much for the scholarship – it will allow me to complete my data collection this summer and share my results with managers and other scientists. I’d be happy to talk further with anyone interested in my work – Ted Shapas has my contact information." 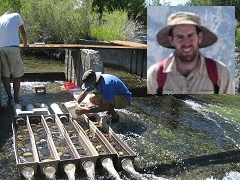 Bruce is in his fourth year of graduate school at the University of California, Davis, and splits his time between UCD and his Eastern Sierra Nevada field sites where he studies stream ecology. His dissertation will focus on explaining the downstream movement of invertebrate herbivores (i.e., aquatic invertebrate drift), research of interest to the fly-fishing community because these invertebrates are an important food resource for trout. The first chapter of his dissertation will address the reasons for the timing of invertebrate drift (drift rates increase ~100 fold from day to night in fish-bearing streams). In chapter two, Bruce will outline the relative importance of the causes of drift (absent disturbance, the three main causes are  to escape benthic invertebrate predators, e.g., stoneflies,  food limitation and  inadvertent drift). The final chapter will address a possible synergism between climate change and invasive species in stream ecosystems. Outside of stream ecology Bruce can generally be found rock climbing, often in Yosemite in the spring and fall and in the high Sierra in the summer. Bjorn Erickson was born and raised in Providence, Rhode Island. He attended Dartmouth College in New Hampshire, graduating in 2001 with a major in ecology and a minor in music. His field work in college included a field course in central America, and thesis research involving parental behavior in migratory birds in New Hampshire. Following graduation, Bjorn moved to New York for a year, during which time he worked in a genomics laboratory at the Albert Einstein College of Medicine in the Bronx. This position was his first real introduction to genetic work, and has had a lasting effect on his career development. Looking to combine a newfound interest in genetics with ecology, Bjorn moved to Hawaii, where he began a project aimed at genetic assessment and management of a genus of highly endangered endemic tree snails. He enjoyed the opportunity to work both on the scientific and the management side of a conservation issue. After four years at that position, Bjorn was inspired to return to school and seek a PhD in ecology at U.C. Davis. Bjorn is now in his third year, doing research in the Genomic Variation Laboratory. During this experience he was introduced to the intriguing world of California fisheries. Bjorn hopes, as he continues research on the Kern River rainbow trout, that his work can make a meaningful contribution to the preservation of California's native trout. Following school, Bjorn hopes to continue working with conservation and environmental issues. He plans to seek employment with a state or federal government agency, or possibly with a non-governmental organization, in the field of conservation. 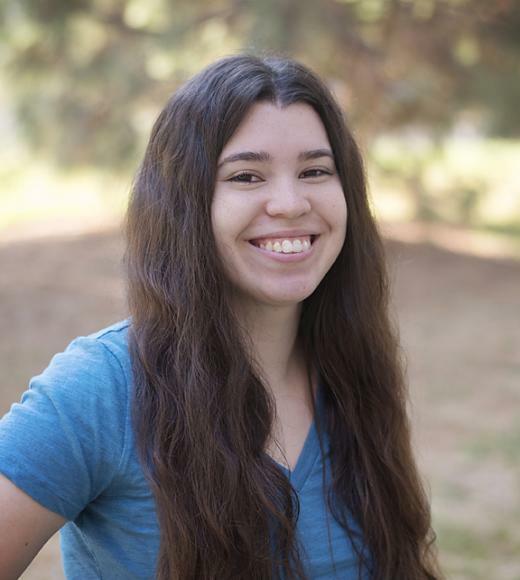 Rebecca (Becca) Quiñones has studied salmon and trout habitat use in California rivers and estuaries for the last fifteen years. Since 2002, the primary focus of her work has been on the recovery of salmon and trout populations in the Klamath River, the topic of her PhD dissertation at the University of California at Davis. In her third year at UCD's Ecology program, her dissertation work aims to understand how land use, fisheries management, and climate change impact salmon and trout movement and survival. She is looking at the rings in salmon earbones to determine migration and growth patterns. Salmon earbones grow in rings, similarly to trees, incorporating molecules from the water where fish live. Consequently, she can match the molecular chemistry in different rings to the chemistry of water samples from different locations to reconstruct fish movement. She hopes that this information will identify streams and tributaries that are enhancing or limiting salmon production so that restoration activities can be prioritized. To date, the earbones of 400 steelhead trout, Chinook salmon and coho salmon adults from the Klamath River basin have been analyzed. She will be analyzing the earbones of juvenile salmon and trout in the coming months. Beyond being a graduate student, Becca holds a permanent position as a fisheries biologist for the Klamath National Forest where she works closely with stakeholders in making policy and management decisions. This summer, she will be conducting stream surveys to determine the impact of 2008 wildfires on coho salmon critical habitat. As you will see from the brief bio below, DVFF is very fortunate to have as our first scholarship recipient, Ms. Alpa Wintzer. She is truly performing the type of research needed to help stem the tide of the complex problems facing our California fisheries. "I have always been fascinated by fishes - first, maintaining them in aquaria and then obtaining SCUBA certification, at the age of 12, to observe them in the wild. So, it was no surprise that after leaving my home state of Ohio for Boston University, I found my way into their marine program. My fishy interests were gradually focused towards various aspects of fish feeding biology (ecology, morphology, physiology, etc.) while working at the Ohio State University and completing a Master's degree at the University of South Florida. I then moved to California to work as a biological science technician with the U.S. Fish and Wildlife Service. Although it was only to be a temporary position, this experience proved to be pivotal for me in terms of my research direction. During my short tenure, I learned about the complex balance entailed in providing water for residents of dry western states while managing populations of at-risk fishes. To make matters worse, invasive species are widespread in the region, further hindering conservation efforts. I came to understand the need for sound research into these problems. I am currently enrolled in the doctoral program in ecology at the University of California, Davis. Under the tutelage of Dr. Peter Moyle, the leading expert on California fishes, my desire to work in this field is reinforced everyday. My dissertation research focuses on a trio of invasive hydrozoan jellyfish and their possible implication in the recent pelagic fish decline within the upper San Francisco Bay Estuary. This work will yield crucial information regarding the feeding ecologies of these introduced organisms and whether they compete with at-risk fishes for food resources. When I am not in research mode, I enjoy participating in public outreach conservation activities, reading, running, molten glasswork, and traveling."